EAEI researchers Hugo Destaillats and Tom Kirchstetter are part of a team that won a 2016 R&D100 Award for their work on the Cool Roof Time Machine project. This research establishes a method to simulate soiling and weathering of roofing material, reproducing in the lab in only a few days what would naturally take three years. This “cool roof time machine” protocol has been approved by ASTM International, a widely referenced standards body, as a standard practice for the industry, and is expected to accelerate deployment of cool roofs, which have been shown to reduce a building’s energy use and mitigate the urban heat island effect. 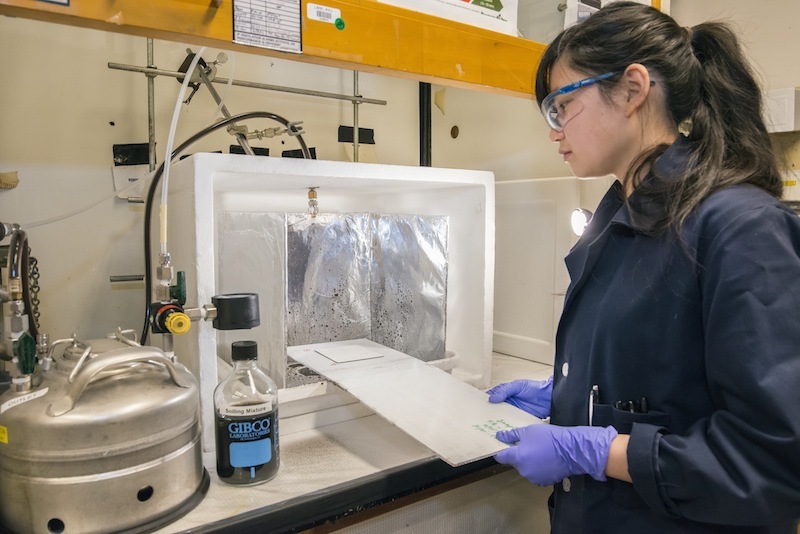 "Berkeley Lab Takes Home Five R&D 100 Awards for Environmental, Battery, and X-ray Technologies"